As a full-service fine art shipping company in NYC, Fine Art Shippers deals with art and antiques of any type, serving private collectors, dealers, auction houses, galleries, cultural centers, artists, and museums on national and international levels. However, what makes our packing and shipping company unique is our ability to handle any task, no matter big or small. Thus, in addition to moving paintings and other mid-size items, we also deal with huge sculptures, art installations, murals, antique furniture, vintage grand pianos, and a whole range of other large and heavy pieces that require special moving equipment, skills, and knowledge. Plus, in addition to moving and shipping fine art, we also ship many other items, including home appliances, electronics, and even heavy equipment of any kind. Moreover, Fine Art Shippers offers some of the most affordable crate shipping rates, which makes our company a preferred option for many businesses and individuals. How are crate shipping rates calculated? When it comes to shipping items over a long distance, you certainly want to find the most competitive crate shipping rates available in the market today. At Fine Art Shippers, we are happy to offer all our services at very attractive prices, which can be easily verified if you request a free quote using a special form on this website. However, the question is, how are our crate shipping rates are calculated? 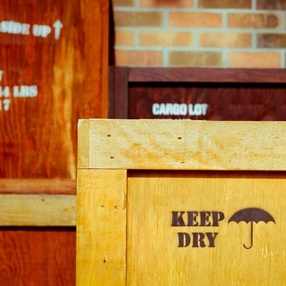 Keep in mind that at Fine Art Shippers, we can provide you with high-quality packing and crating, insurance, storage, and many other services related to the long-distance transportation of items of any size, weight, and shape. Along with that, our crate shipping rates remain affordable and very attractive, so do not hesitate to contact our team even if you are limited by budget. We are always ready to help!